Set in ancient Greece, the Olympus Glory video pokie from EGT is anything but spartan, as it comes complete with bonus features such as free spins with special expanding symbols, wild substitutions and a 4-stage progressive jackpot round. A classic theme deserves a classic design, and the 5 reels, with symbols in 3 rows, and 10 paylines running from the left is a standard layout, while playing card symbols will be familiar to anyone who has played casino pokie machines before. The high paying symbols are unique however, and feature a rich variety of Gods, each of which becomes animated when they are part of a winning combination, while top God Zeus will bless punters with bonus games when he’s in the right places. Set amongst the cloudy home of the Gods that the ancients believed was at the top of Mount Olympus, the realistic symbols need to stop across a payline on adjacent reels, starting from reel 1 to create a standard winning combination, with payouts expressed s multiples of the amount staked per line. The low limit bet is 0.10, and the maximum wager is 20.00, although most online casinos offer free Olympus Glory video pokies for anyone who likes to test out games before they play for real money. In common with many pokie games, the lower-value symbols are made up of playing card 10, J, Q, K and A. The first 3 are worth 5, 25 or 100x the line bet when landing on 3, 4 or 5 reels across a payline, while the K and A each pay out 5, 40 or 150x for the same combinations. We won’t pretend to know the names of the various Greek Gods, but they all pay out a prize when landing on just 2 reels from the left side, and each will reveal their godly powers when they make up a win. The 2 lower-value ones are worth between 5 and 750x depending on how many are in a line, while the top awards come from the female warrior, who returns wins of between 10 and 5000x when stopping across a line. Zeus will need to be on at least 3 reels to pay out 20x, while 4 or 5 of this stern-looking character will be worth 2000x. He’s also the wild symbol of this game, able to act as any other to complete winning lines, either by filling in any gaps in the sequence, or extending a win across extra reels. Zeus is also the trigger for the main bonus feature, and once the any awards for landing the symbol across a line, 10 free spins will begin. During these, a randomly selected symbol will expand across any reel that it appears on, which should make it easier to complete lines of it. The same symbol will expand throughout the 10 bonus games, so players will hope that a high-value one is selected, but it’s a random choice made by the software and they have no influence of which is picked. 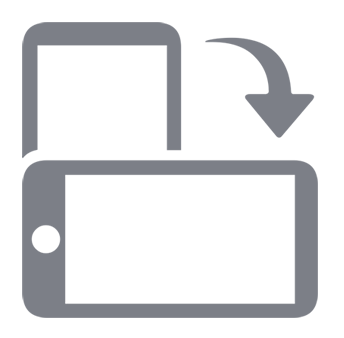 It’s worth noting that the wild won’t be able to substitute for this special expanding symbol. If 3 or more Zeus symbols appear during a free spin, a further 10 extra games are added on to the end of the current round. Any time there’s a win of less than 350 coins, players will be given the option to try and double it, potentially several times over in the gamble game. If they choose to play, they will need to correctly decide if a playing card is going to be from a red or black suit, but if they get it wrong, the triggering win, along with any gains made in the gamble so far, are lost. Like all EGT pokies, there’s a randomly-triggered Jackpot Cards round that is guaranteed to pay out one of the progressive prizes shown above the reels. 12 face-down cards are shown and players click them in any order, winning the jackpot that corresponds to the first suit found on 3 cards. These range in value from the small-ish Club prize, to the Spade jackpot which can be a substantial amount. Although they may not be worshipped any more, the Gods of Greece a still quite popular in the world of casino pokie machines, and there’s numerous games dedicated to them. 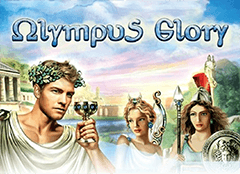 Olympus Glory is a fairly good example, that has the potential to reward punters with decent bonuses, particularly in the free spins round, where the special expanding symbol can create multiple winlines. Apart from this however, there’s nothing very inventive about the game, although anyone who likes the look of it will probably enjoy giving these reels a few spins.